The Esri Story Map team regularly searches for strong candidates to add to the Story Map Gallery. 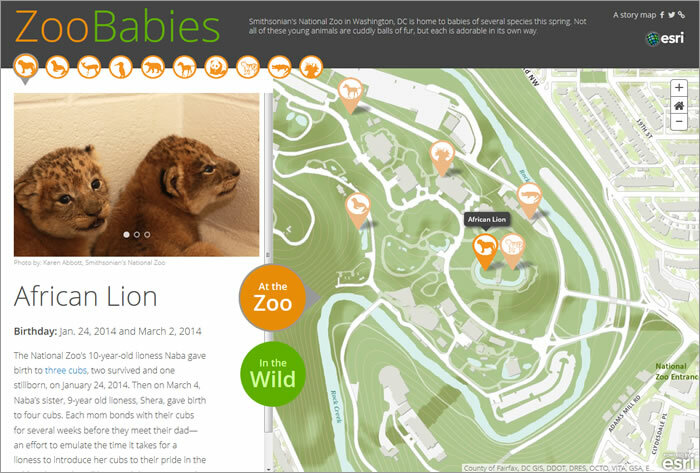 (The gallery showcases Story Map applications from Esri staff and technology users.) The team chooses which ones to add based on a variety of considerations. How do you get your Story Map app featured there and make it stand out so others in the GIS community and the general public will notice it? Bern Szukalski shares a few tips for creating great story maps—and getting them noticed. You’ve put together a great gallery of your authoritative maps in ArcGIS Online, and now you want to share it. How do you do that? You can feature the gallery on your ArcGIS Online home page, of course. But you can also embed it in your organization’s website, blog, or any other web page. That gives you the flexibility to feature your content anywhere you like. 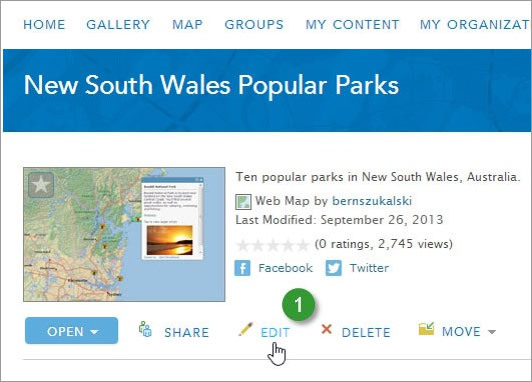 Content that appears in a gallery comes from members of a group in ArcGIS Online. 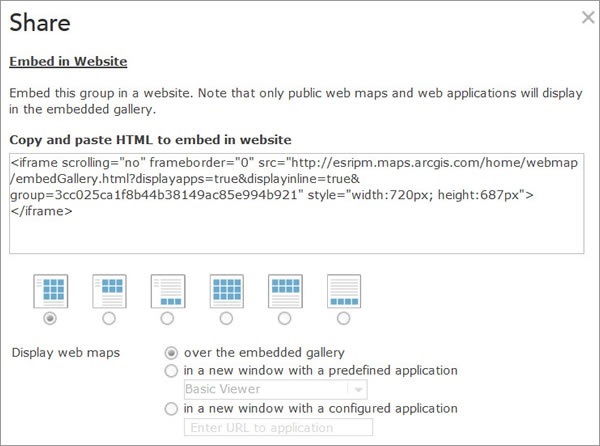 Interested in embedding your map gallery in a web page? Esri’s Praveen Srivastava and Sarah Osborne will show you how. 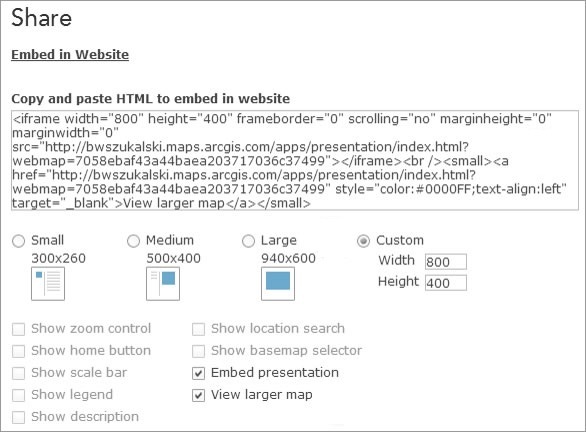 Check out this pro tip for more information on how to embed a presentation in your website. 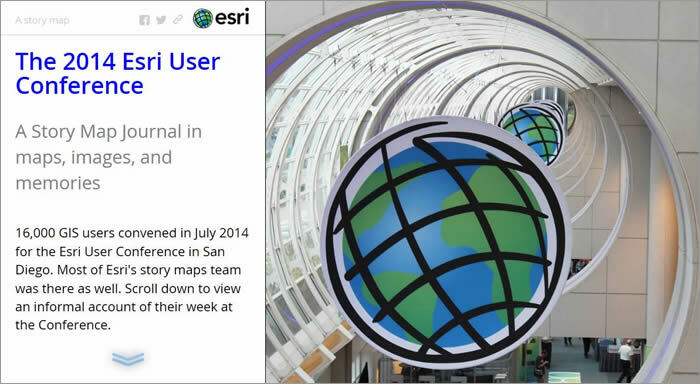 You can marry maps, images, and text to tell longer, more detailed stories using the Esri Story Map Journal app. This app, along with others such as Esri Story Map Tour and Esri Story Map Shortlist, lets you combine ArcGIS Online web maps with multimedia content in elegant user interfaces. If you are interested in creating compelling, in-depth, multimedia narratives and presentations with this app—particularly when you combine multiple passages of text with maps, images, videos, and other content—then check out this pro tip from Rupert Essinger.